A huge container has fallen on a small Honda Accord car near the city of Lagos, sparking some stir in the area. It has been reported that a container has fallen on a small car in Lagos. 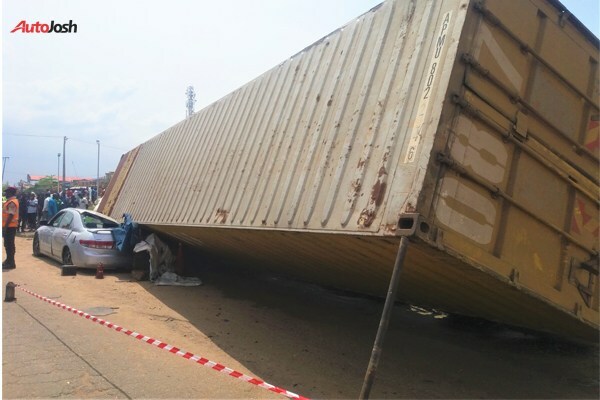 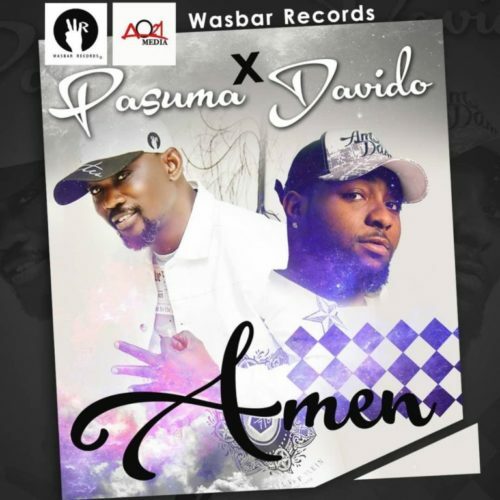 The incident reportedly happened yesterday at the Mowe-Ibafo axis of the Lagos-Ibadan expressway. 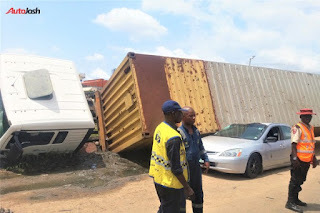 The articulated container truck fell on the Honda Accord car in broad daylight sparking some stir in the are a.The truck which appeared to have lost its footing at a soft part of the road, fell sideways, and landed on the right-hand-side of the the Honda Accord. 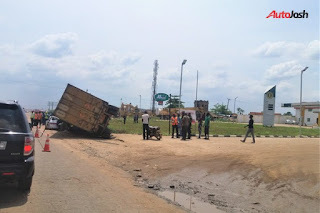 It is not certain if anyone was hurt in the accident. 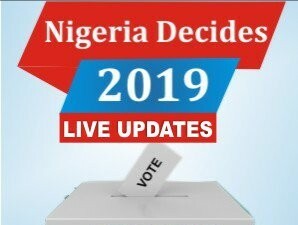 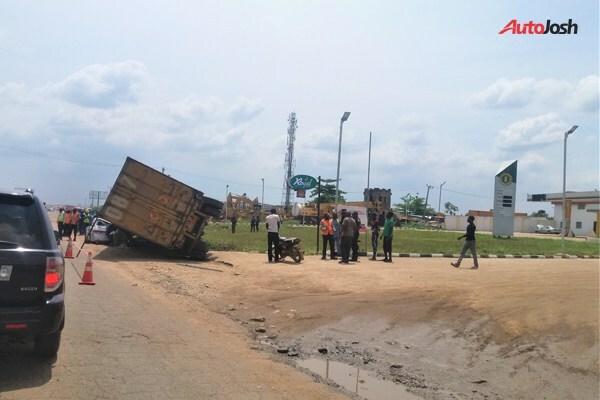 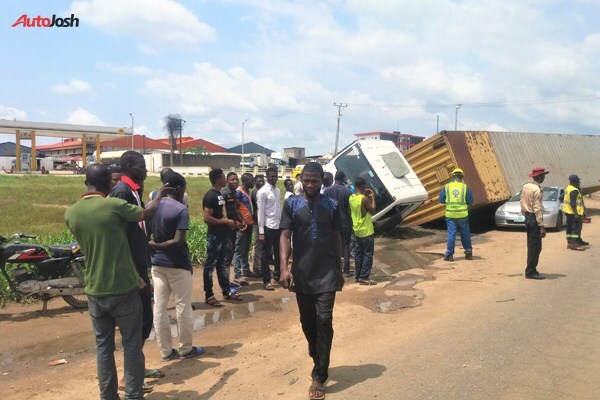 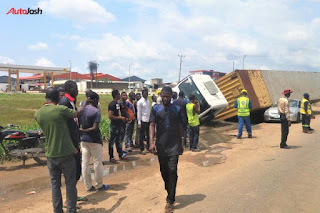 According to AutoJosh, which shared photos from the scene of the incident, the officials of the Lagos Rescue Unit (LRU) later visited the scene of the accident to salvage the situation.